5+ hours of training in HD video. Downloadable video and .pdf materials. Lecture discussion boards with active participation by the instructor. Watch at your own pace, on any device. Lifetime course access, at any time. Topics include cold calling, qualifying clients against an ideal profile, find the real need and solution that makes you a client’s priority, learn the right way to use proposals, and more! Brent started creating websites around 15 years of age and never stopped. Brent spent the first 12 years of his professional career growing HotPress Web into one of the most successful website agencies in Denver. He worked with top businesses and nonprofit organizations creating websites and online marketing campaigns. Over the years, Brent has used his experience to help other web designers. 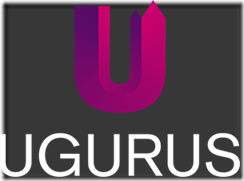 In 2012, he founded uGurus.com to realize his vision of helping web professionals become profitable. The interaction model step-by-step process is explained. Explore the psychological keys behind the interaction model’s sales strategy. Unlearn everything you know about this high-stress topic. In this module you’ll learn how to handle that first call with a new client. Instead of chasing every new opportunity, learn how to turn the tables and start sizing up potential clients against your ideal customer profile. Move beyond the customer’s stated needs and start digging into their business to find the real problems that make hiring you an urgent priority. Learn how to build huge value and demand for your services by speaking directly to the customer’s greatest problems. Learn why proposals are less important than everyone thinks, and how you can successfully use a proposal to win more projects. Learn how to kick off a project from a sale and lead your customers through the buying process. Find out how the interaction model removes any need for sleazy closing techniques when it comes time for your prospect to sign on the dotted line.